Morris Animal Refuge and Amrita Yoga and Wellness are excited to bring you another set of Puppy Yoga sessions! 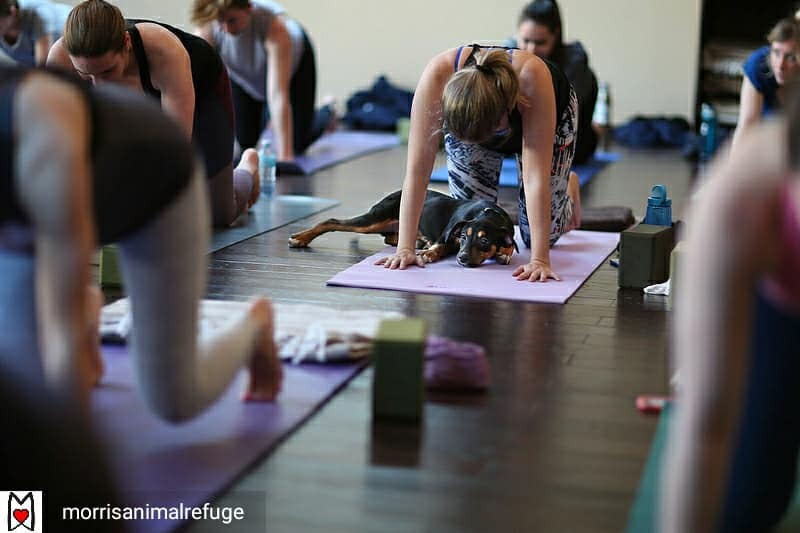 What better way to help relieve stress and practice self-care than pairing unparalleled yoga instruction with the healing power of puppies? All proceeds benefit Morris Animal Refuge! Morris Animal Refuge and Amrita Yoga and Wellness are excited to bring you another set of Puppy Yoga sessions! What better way to help relieve stress and practice self-care than pairing unparalleled yoga instruction with the healing power of puppies? Registration is $25 and all proceeds benefit Morris Animal Refuge! There are just 40 spots in each session, so get your tickets before they sell out! Bring your yoga mat and get ready to meet some tiny puppies! There will be a limited number of yoga mats available to rent. Save the date and join us at this wonderful event!